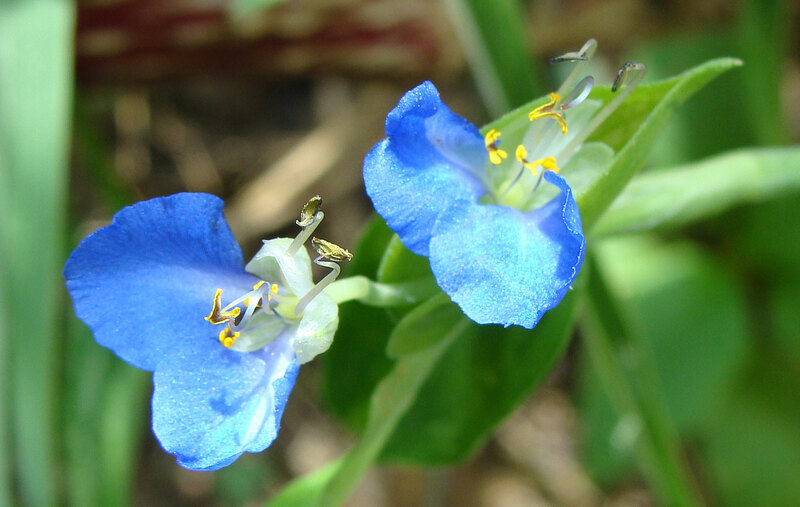 Dayflowers have intrigued me since childhood. I had never seen blooms so blue. 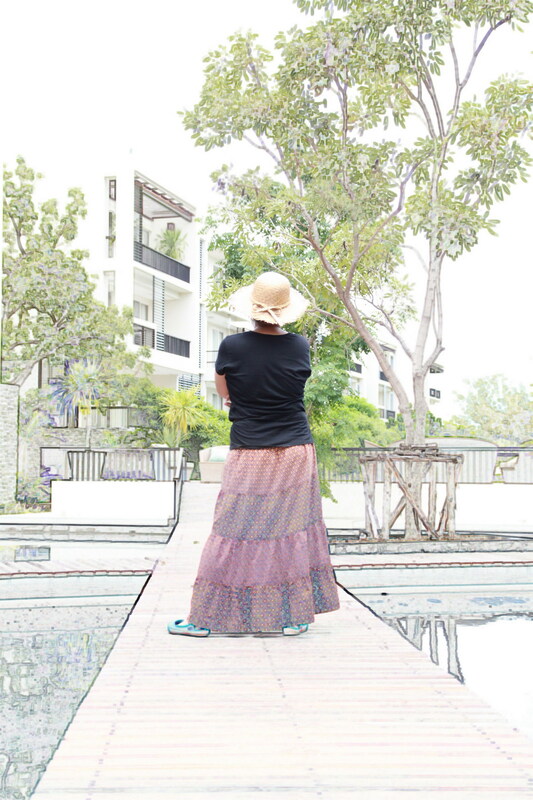 My cousin is the embodiment of “sanook,” a Thai philosophy that encourages people to find the fun in life. My cousin in Bangkok loves ruang phung (“honeycomb”) flowers. Coming home from work, she was surprised to see a vase full of them. She loved these flowers that grew at her old house. Alas, the plant could not move with the family. 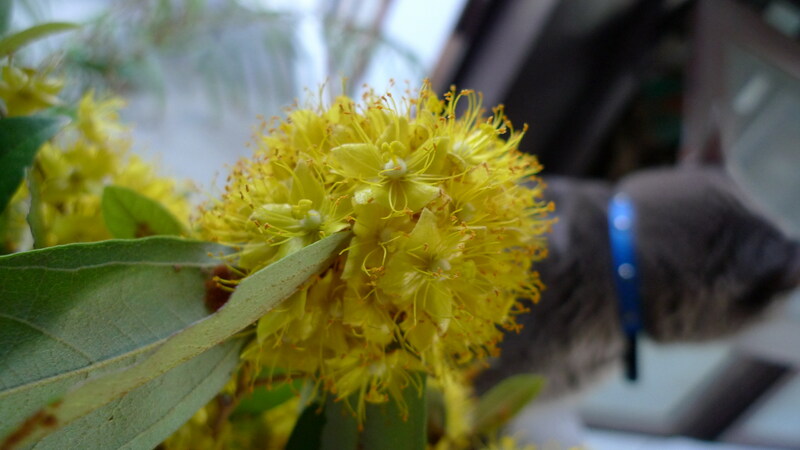 She missed the sweet fragrance and how the shrub would explode into a yellow mass, alive with bees. The gray cat in the background, Sour Orange, does not seem to share my cousin’s enthusiasm for these spectacular blooms. Ruang phung flowers brightened my cousin's day. 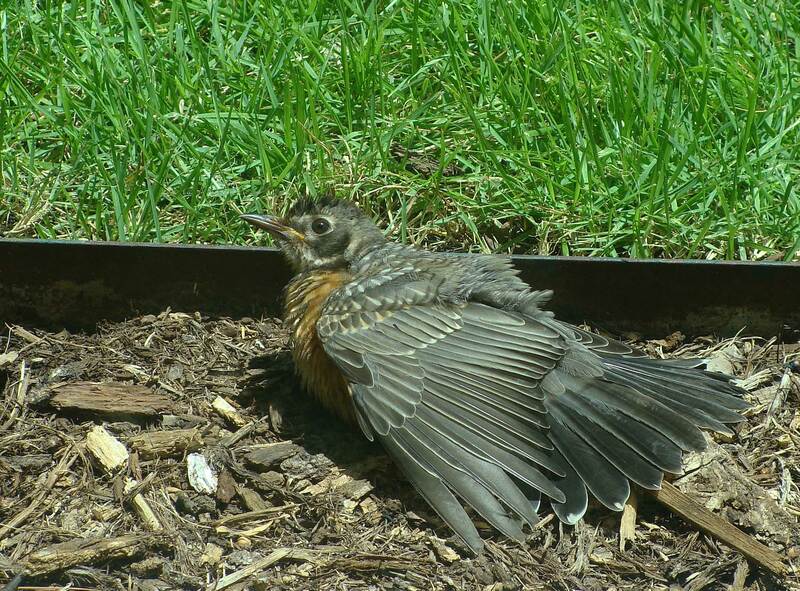 For some reason, robins like to hang out in the garden bed outside my office window. 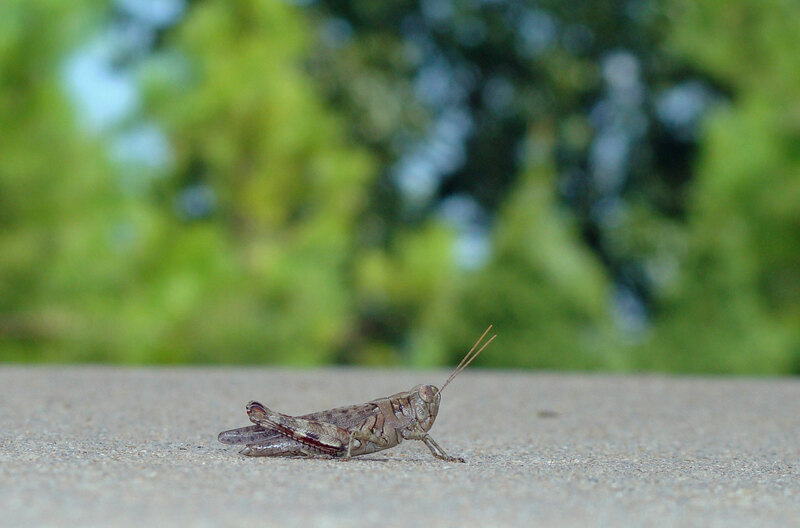 This fellow and a few other youngsters were hopping and flopping around in the mulch. A tiny hummingbird showed up too, to take advantage of a few flowers in the shrubs, but was quicker than the camera shutter. Really, I should be working. 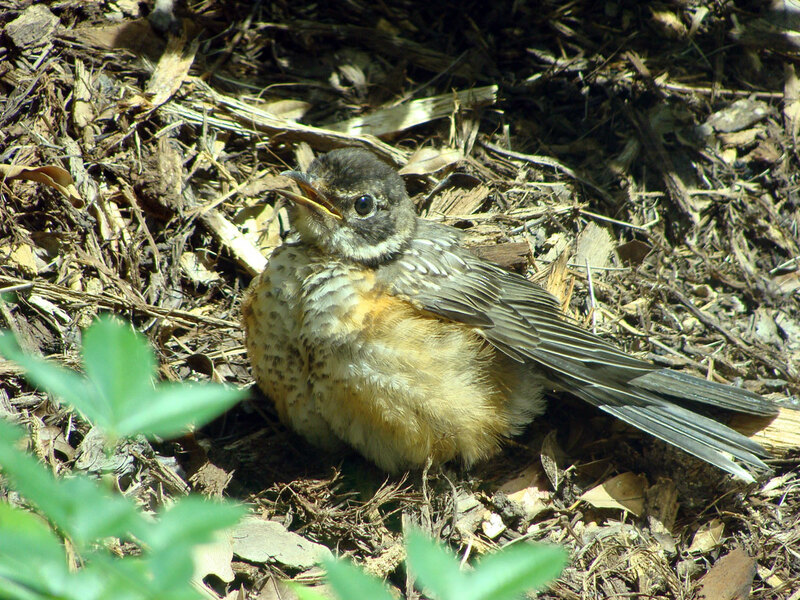 Juvenile robin spreads his wings. 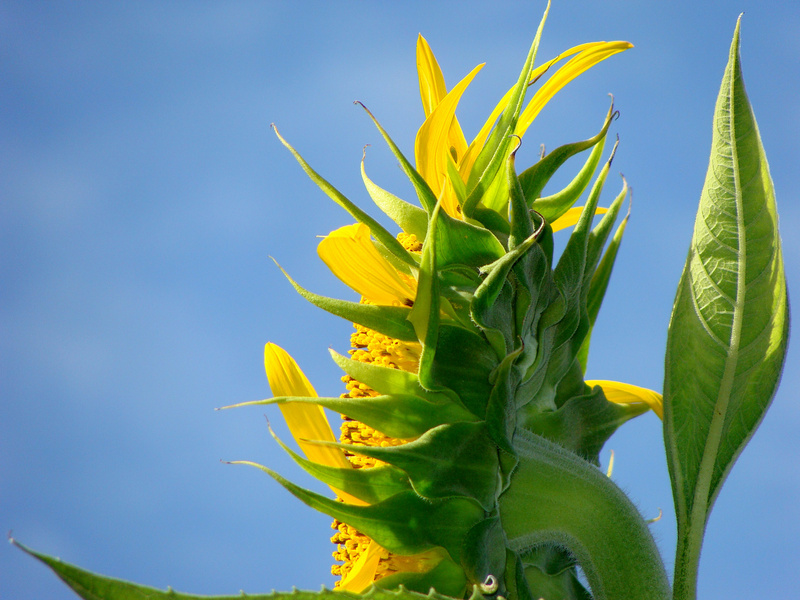 The big sunflower — all 9 feet, 3 inches of it, is beginning to bloom. 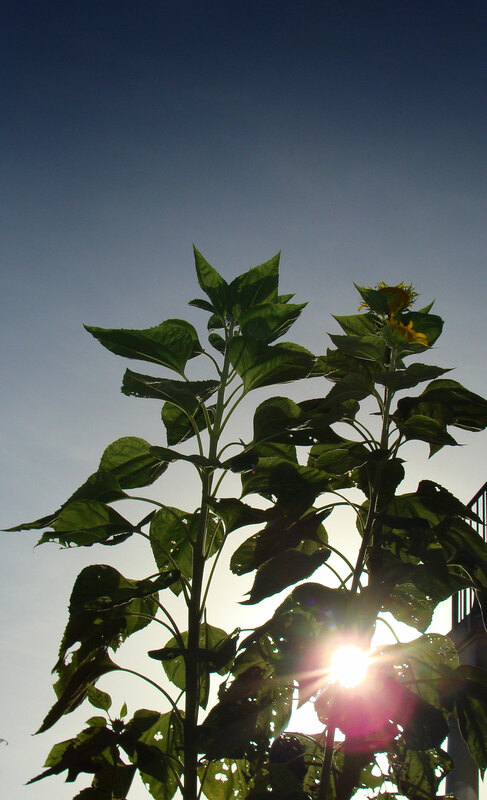 Evening sun shines through the leaves of the big sunflowers. 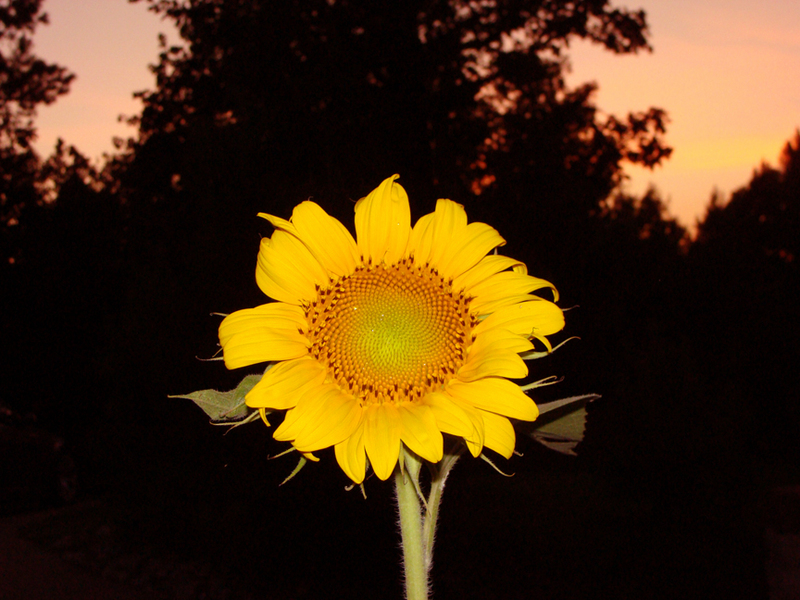 Big sunflower greets the morning sun. Staring into the face of the sun. 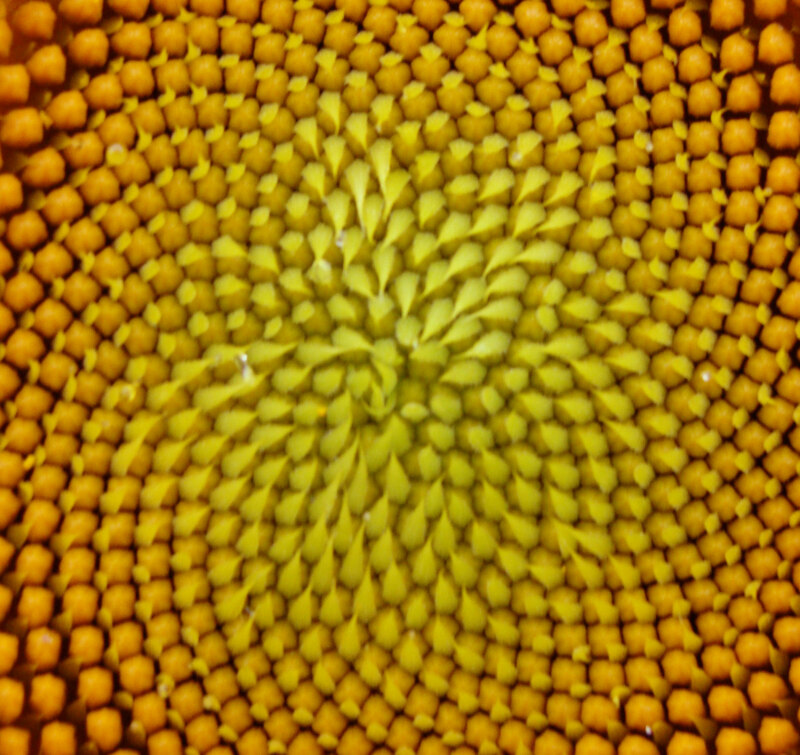 Sunflowers have a fascinating geometry; symmetry and asymmetry; order and chaos. There was a significant rubbernecking delay on the commute into town this morning. 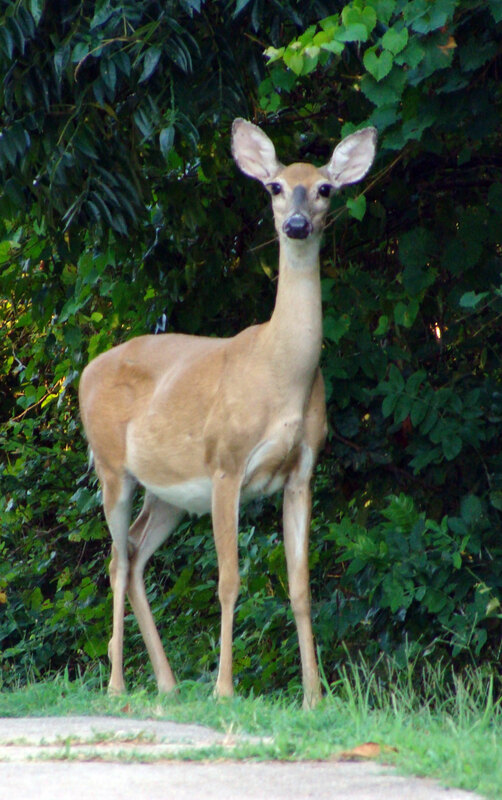 The doe seemed as curious about us as we were about her, but eventually vanished into the woods just to the north of the road. A second delay occurred, thanks to two bunnies eating grass just a few yards down the road. Ferndale traffic just gets tougher each day. This large doe caused a one-car tieup on the morning ride into work. A little summertime cheer. 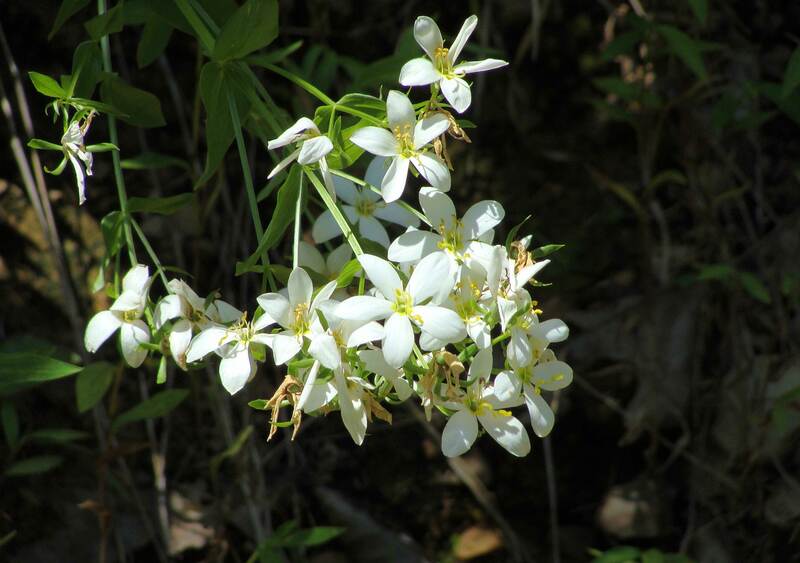 Thanks to Dr. Jon Barry at the SW Extension and Research Center in Hope for identifying these as Sabatia albiflora, a less common version than the pink tinted Sabatia angularis. 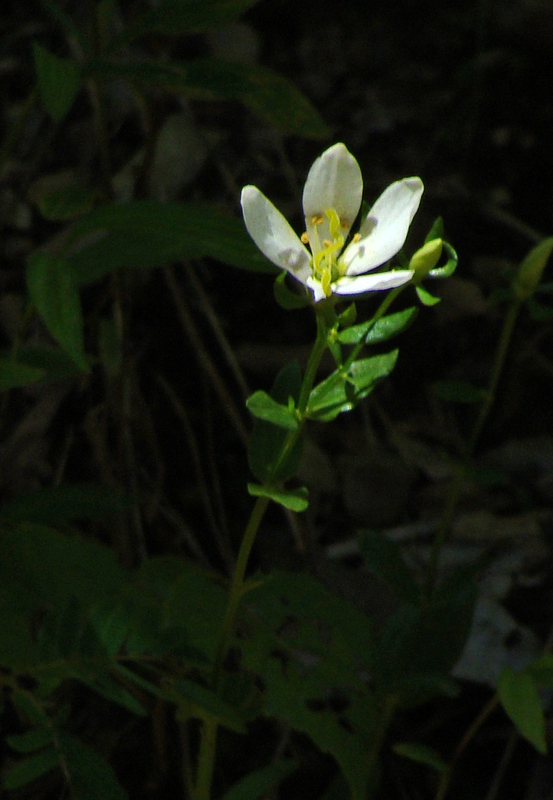 These white flowers were growing out of the side of a cut in the hillside. Single blossom rises from a hillside. 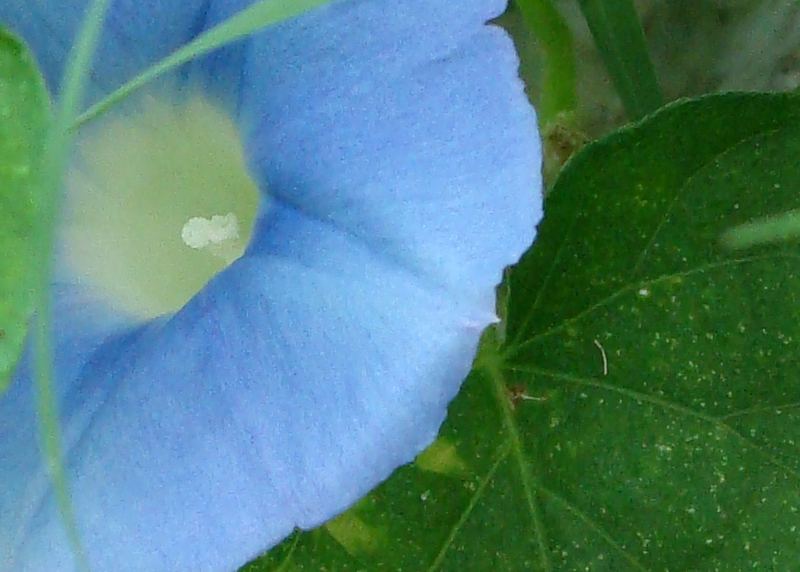 Shy morning glory hides in amidst leaves and grass.